Due to popular demand, 2012 will continue the Eastern European Reading Challenge from 2011. We've ended up with 72 participants in 22 nations for the 2011 READ EAST. Since BEA this year will be focused on Russia, it seems only appropriate to continue with the Challenge. Many literary magazines are continuing to focus on Eastern European themes. This month's World Literature Today was focused on modern Russian poetry (!!!!!). Leave a comment to this post with your name and your country of residence. You can shoot for 4, 8, or 12 titles. Report back to the links below with links to your own website reviews, or titles you enjoyed and want to share with others. Titles: Can be any genre: crime, poetry, literary fiction, history, historical fiction, memoirs, etc. If possible, try to select titles that are translated works to help support the continuing exposure of Eastern works to Western readers. Open Letter Books, Archipelago Books, Peirene Press, Melville House, and Ugly Duckling Presse are all small publishers that focus on a wide variety of translated titles of fiction and poetry. Check them out! Feel free to share details on your own blog and link to this page. On February first, a trivia question regarding Eastern European lit will be posted with a Amazon UK or US gift certificate as prize. It's going to be tough! Just to be clear, yes...I have two Challenges running this year. Enter either or both! My focus on accepting review copies will again by as closely limited to the Mediterranean and Eastern European regions as possible. Can I make a suggestion for the reading list? So, as a ethnic Ukrainian born in Britain, I hope I qualify, and of course I'd love to get my book read. I'm shooting for four titles this year, including The Rebels by Sandor Marai. I'm going to try again. Last year I fell a book short of the tourist level. I'm in! It's perfect! There is at least a dozen of Eastern European books that immediately popped into my head while reading about this challenge and I'm looking forward to spotlighting them on my blog :) Thanks! I'll make a post about the challenge today! 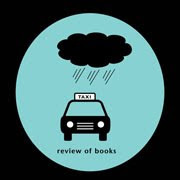 New York Review Books has a slew of Eastern European titles and authors. Soho Crime also lists their authors by country. Hey, it's the first time I'm doing this challenge, and it sounds amazing to me. I'm romanian, so I'm familiar with most books in the eastern region. And also, I'm gonna go with 12 titles. 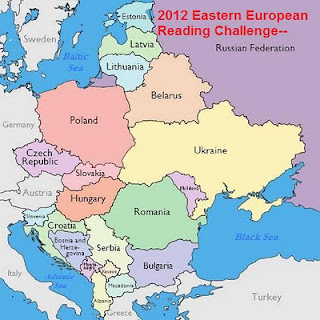 Hi, I'd like to join The Eastern European Reading Challenge 2012. Never one to dabble, I'm going to shoot for Scholar level with 12 titles or more. My plans at the moment are to read everything I can get my hands on by László Krasznahorkai, Sandor Marai's 'Embers', Peter Nádas's 'Parallel Stories', Imre Kertesz's 'Fiasco', Andrzej Stasiuk's 'Dukla', some Sigizmund Krzhizhanovsky, Péter Esterházy's 'The Book of Hrabal', Alexander Herzen's 'My Past and Thoughts: Memoirs Volume 1: Memoirs v. 1', some Dezso Kosztolanyi and Bohumil Hrabal. I would like to participate,I'm from Macedonia, but why you don't have Macedonia on the list? Can I enter anyway? This is such a great challenge!! I am going to plan to read 4 books. I'm signing up and will read 4 books. Thanks for hosting the challenge. I've signed up to read 4 books. Since I'm planning on reading these kinds of book ANYWAY, why not make it official and sign up for this challenge! Put me down for 8 books, even though I'm hoping to read 12 or more. My Choices, top 2011 reads!